Offering you a complete choice of products which include garment needle detector machines, conveyor belt type needle detector, handy needle detector, portable needle detector machine, belt type needle detector machine and belt type needle detector. The Garment Needle Detector Machines is used for the purpose of detecting metal chips inside sewing, fabric, pharmaceutical, chemical and food products. It detects needle or metal chips with the help of cycled magnetic sensors. The accuracy level is high. It has a touch screen panel and a light indicator. 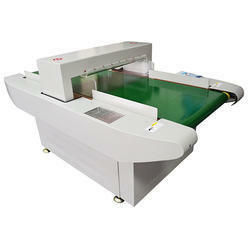 The machine is highly efficient as it saves a lot of money, manpower and time. Our priority being the quality we manufacture these using only high-quality raw materials. We are the manufacturers of high-quality Conveyor Belt Type Needle Detector that have a high level of accuracy in detecting metal chips and needle from inside of sewing, fabric, pharmaceutical and food products. The system is based on a LED bar display control panel. These detectors are highly user friendly and easy to maintain. Manufactured using modern technology and high quality raw materials this Conveyor Belt Type Needle Detector is highly reliable. We provide these quality products at a very reasonable price. Working on the principles of magnetic induction the Handy Needle Detector is a highly useful product in detecting needles and metal pieces in different products. These detectors are small and portable. A sound alarm system indicates the detection of metal pieces. These detectors use a 9v battery, which can be easily replaced. Easy to maintain and low power consumption makes it a highly economical device. These products are manufactured using high-quality raw materials to provide optimum satisfaction to the customers. We are leading firm, actively engaged in offering a varied series of Portable Handy Needle Detector Machine that meets on customer’s demand. 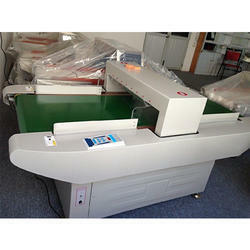 • Model-FMD (Ferrous Metal Detection)-Detects Needle in metalized(Al Or CU) Zip packaging. 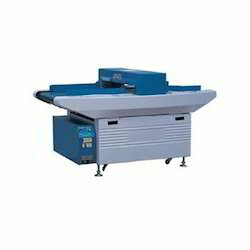 We are instrumental in providing a broad array of Needle Detector Machine Belt Type. 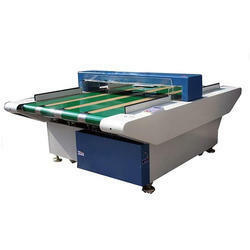 Our offered machines are equipped with microprocessor which makes it highly sensitive and enables quick detection of any sharp, ferrous foreign objects, such as needles, hooks, ferrous fragments etc. inside garments. The needle detector offered by us is manufactured using premium grade raw material and progressive technology in tandem to universally verified standards. 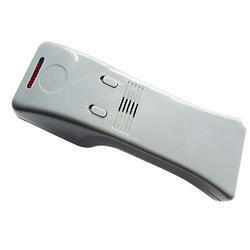 Clients can avail this needle detector from us in different specifications and at market-leading prices. 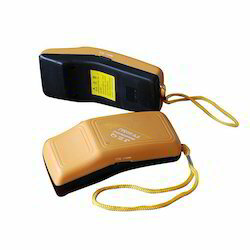 We offer this Table Type Needle Detector to our clients at reasonable price.Manufactured using modern technology and high-quality raw materials. it is highly reliable. Self-driving, environment-protecting and electric saving design. The counter on the manipulator can effectively calculate, uncertified products and their gross.The exteriors of this machine are made up of quality centric raw materials.